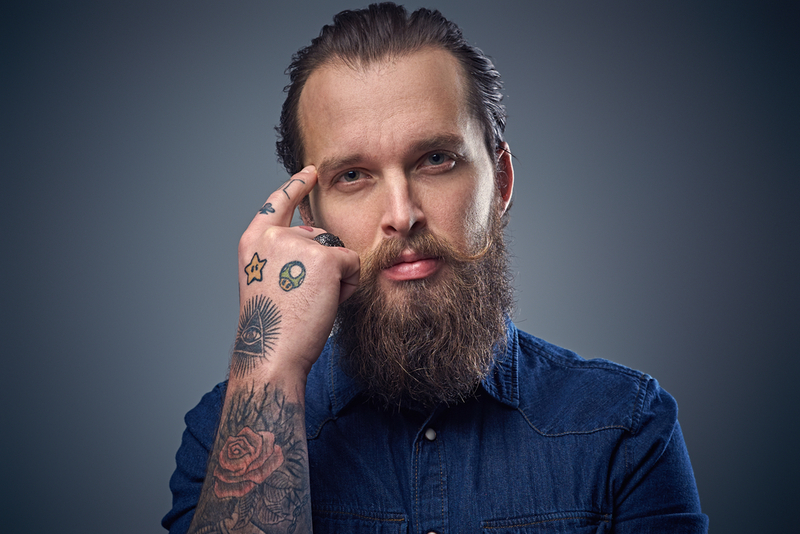 Many articles exist on the web regarding types of lasers used with tattoo removal, however, we have had numerous clients unaware of some of the weird facts about tattoo removal and we thought it was about time we’d spread the word! We’ve previously shared information on tattoo removal statistics in Australia. In this post we’ve put a bit of a health twist on this one focusing on the tattoo removal facts. Yes, seriously! This is the statement that surprises most of our clients. It is your body that removes the ink. The laser just breaks up the ink particles into much smaller particles to effectively expedite the process of removal. It is then up to your body’s immune system, through the lymphatics, to remove the ink. It goes hand in hand with statement number 1. 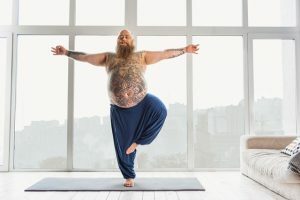 If the ink moves through your lymph system, then taking care of your lymphatic system can make a big difference in how efficiently your body removes the ink. Ways in which you can assist the lymph system is by lymphatic massage or dry skin brushing (avoiding the tattoo itself), diet, low level laser therapy, infrared saunas, certain lymph cleansing herbs, green and red smoothies, and by exercise. Movement of the lymphatic is governed by our muscles. The more you pump your muscles, the better your lymph flow will be. Lymphatic fluid also ends up in your blood stream so the better your circulation, the faster the fade. Never has there been a better reason to get to the gym, go trampolining or join a yoga studio. If time or money is a problem, spend some time walking briskly to get your heart rate up. This simple action can help tremendously. Cigarette smoking can slow your circulation dramaticly, so it’s best to at least try and cut down on the amount you smoke or better still to quit the smokes altogether. The liver is a large organ that sits on the right side of your body. The ink goes to the liver before it is excreted out through your excretions, urination and sweat. The prime purpose of the liver is to eliminate fat soluble toxins and excess substances, including excess hormones, it also breaks down drugs and it converts fats, proteins and carbohydrates to energy and nutrients. Foods rich in vitamin C can assist the liver in this process by acting as an antioxidant. Coriander and green leafy vegetables like kale, broccoli, spinach and parsley are detoxifying and can help reduce the build-up of heavy metals in the body. Garlic and onion contain sulfur which helps your liver detoxify too. 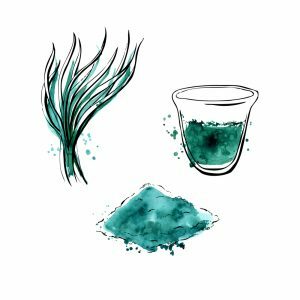 Chlorella, one of the super greens is a natural chelator to remove ink metals. A well-known liver herb, Milk Thistle is a great liver detoxifier. So get munching on those good foods to help your liver do its thing! 5. Where Your Tattoo is Located Can Make It Easier or Harder to Remove. The further away from your heart your tattoo is, the harder it is to remove due to circulation and therefore blood flow. Tattoos on the extremities particularly the hands and feet are therefore harder to move. The better you move your body, the better the circulation and the greater the ink movement. 6. Not all the ink can be reached in one treatment. Ink sits at various depths within the body; even certain colours sit at different depths due to particle size. Treatment will generally start by targeting the deeper ink first and different colours actually react differently to laser. If your tattoo is large and very colourful, it is often best to break it up in sections to manage skin care. This is less of an insult on your immune system and also means less swelling. 7. Well trained laser clinicians make a big difference in outcomes! The tattoo removal industry is largely unregulated so do your research. Excellent training and excellent laser technology means no scarring and better fade results. Machine settings, machine type, experience, nutrition and knowledge can all make a big difference to the level of fade you receive as well as the condition of your skin. Before and After photos, social media posts, and reviews can be a guide to results. 8. Fading Will Continue to Occur Between Treatments. We might say to come back in a few months or longer instead of 6-8 weeks, particularly when we have targeted a lot of the ink in the tattoo. Your body will continue to eliminate these particles over time, continuing to fade away, so, go and enjoy that holiday you booked, just keep the tattoo covered or use at least SPF30+. Here is some more information on fading a tattoo. Just remember good health and patience go a long way in successful tattoo removal! Phone us on 1300 125 327 for a free consultation so you can begin your tattoo removal treatments with confidence.